When Sunday’s performance came to a close, the audience leapt to its feet, and this was no obligatory Standing O. 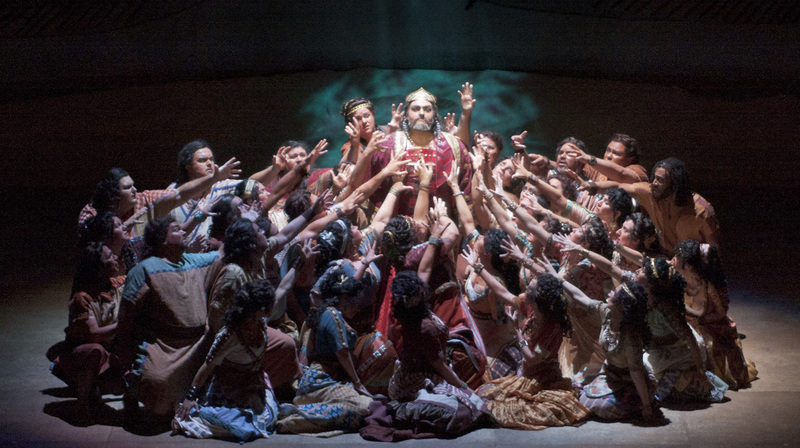 This “Idomeneo” — something like Ringling Bros. at New York’s Metropolitan Museum — is singular. Sunday’s performance wasn’t perfect, but it never let up, building momentum across its nearly four-hour running time, including two intermissions. Ever more glowing, this marathon exhilarated with its spectacular presentation, with the obvious enthusiasm of everyone involved — and with the perfect beauty of Mozart’s music. I wish I could find a video that shows them playing … but this is fun, and you’ll hear some mighty fine oboe playing here. 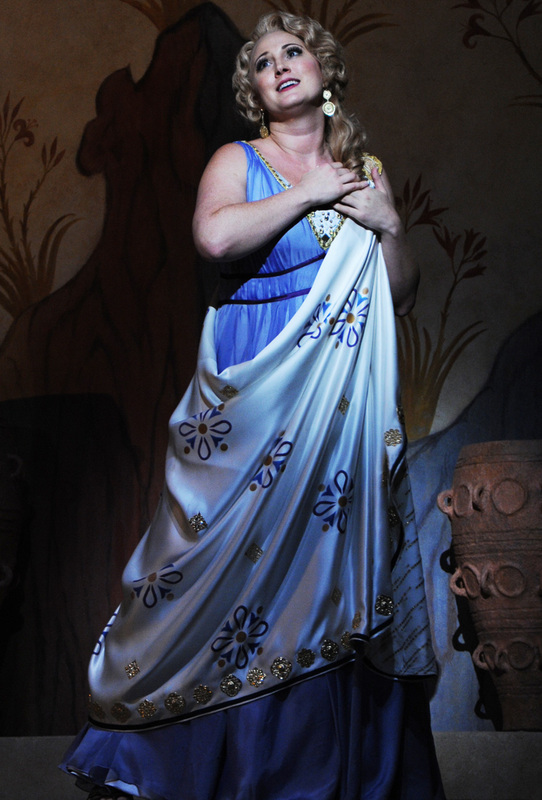 Cast A: Rebecca Davis as the Trojan princess Ilia in Opera San José’s production of Mozart’s Idomeneo. Photo by P. Kirk, courtesy of Opera San Jose. Cast A: Christopher Bengochea in the title role and the Opera San José chorus in Mozart’s Idomeneo. 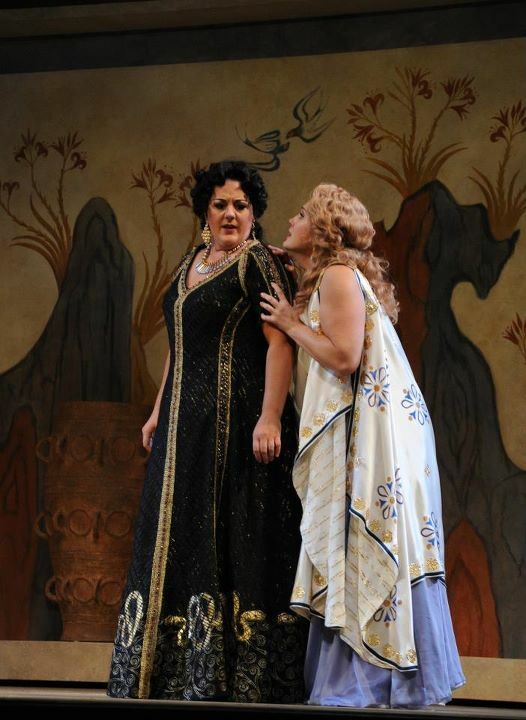 Photo by R. Shomler, courtesy of Opera San Jose. 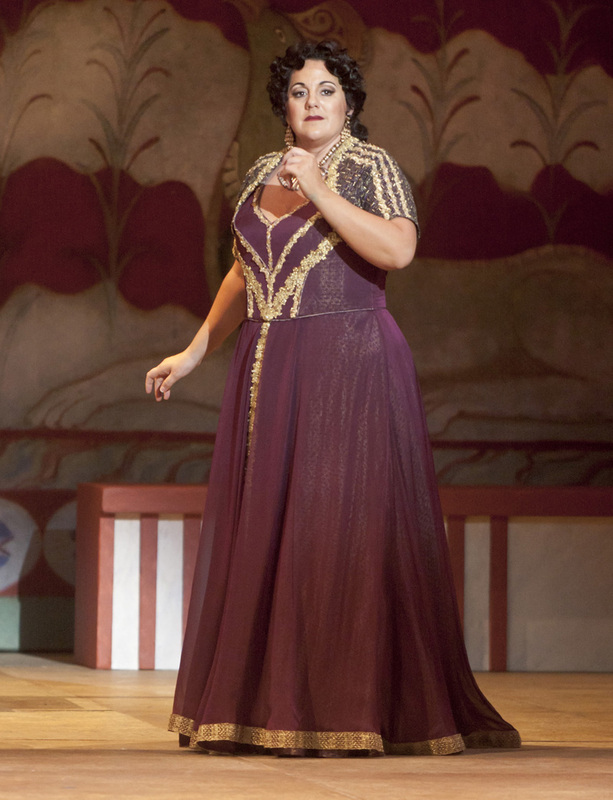 Cast A: Christina Major as the fiery Electra in Opera San José’s production of Mozart’s Idomeneo. 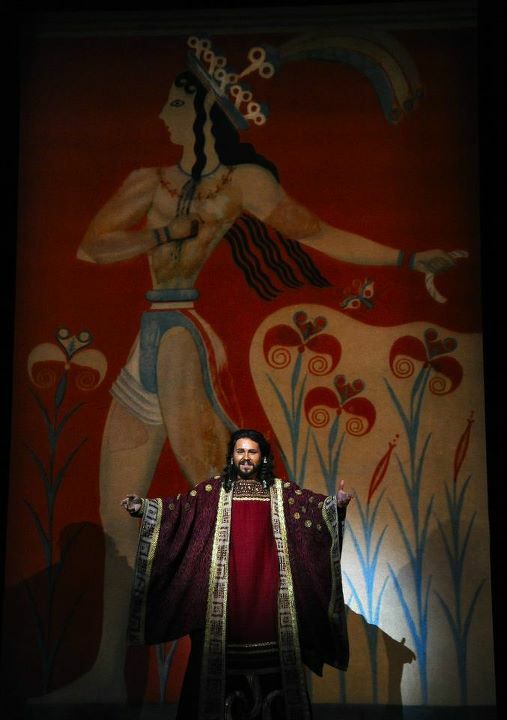 Photo by R. Shomler, courtesy of Opera San Jose. Cast 1: Betany Coffland as Idamante, the king’s son, in Opera San José’ production of Mozart’s Idomeneo. Photo by P. Kirk, courtesy of Opera San Jose. 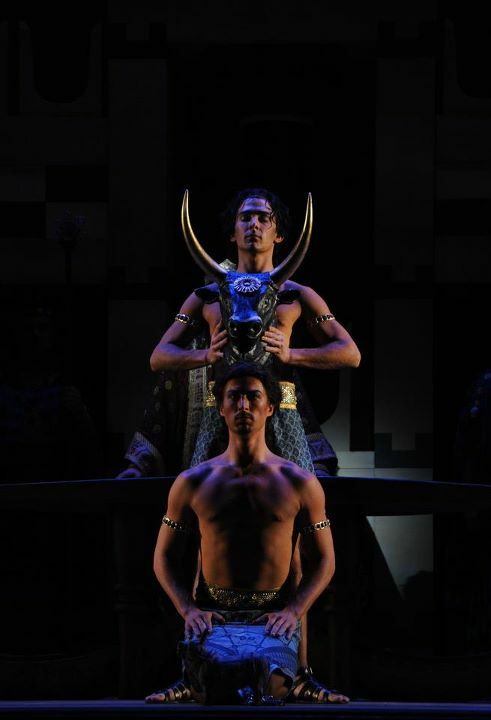 Cast A: From L to R: Ilia (Rebecca Davis), Idomeneo (Christopher Bengochea) and his son, Idamante (Aaron Blake) in Opera San José’s production of Mozart’s Idomeneo. Photo by P. Kirk, courtesy of Opera San Jose. 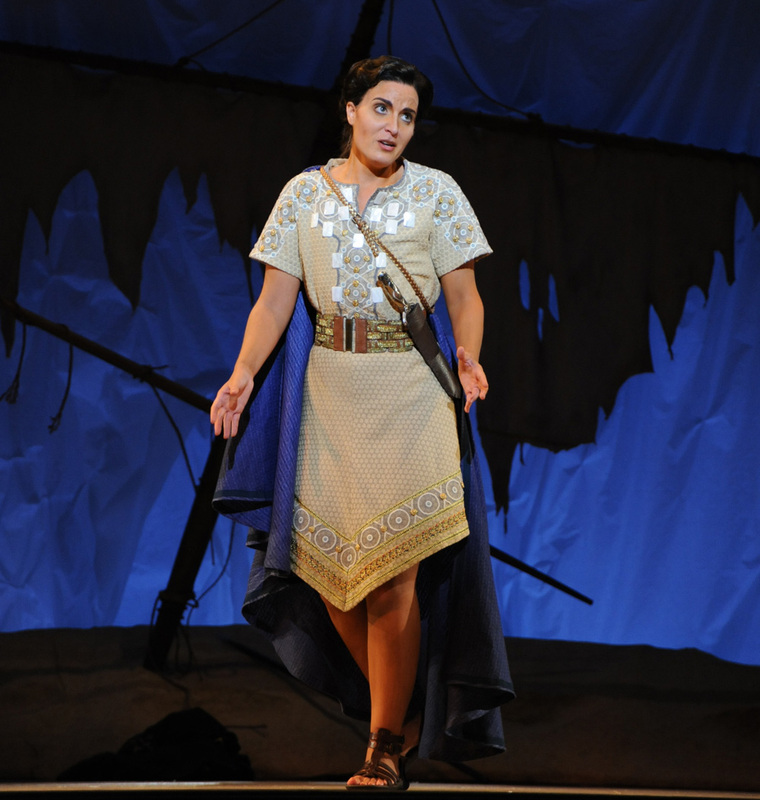 Cast 1: Sandra Bengochea as the Trojan princess Ilia in Opera San José’s production of Mozart’s Idomeneo. Photo by P. Kirk, courtesy of Opera San Jose. 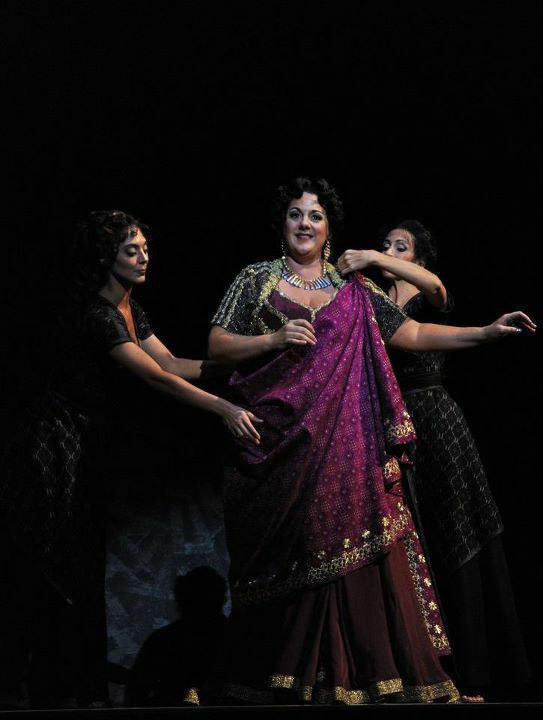 Cast 1: Jasmina Halimic as the fiery Electra in Opera San José’s production of Mozart’s Idomeneo. Photo by B. Shomler, courtesy of Opera San Jose. 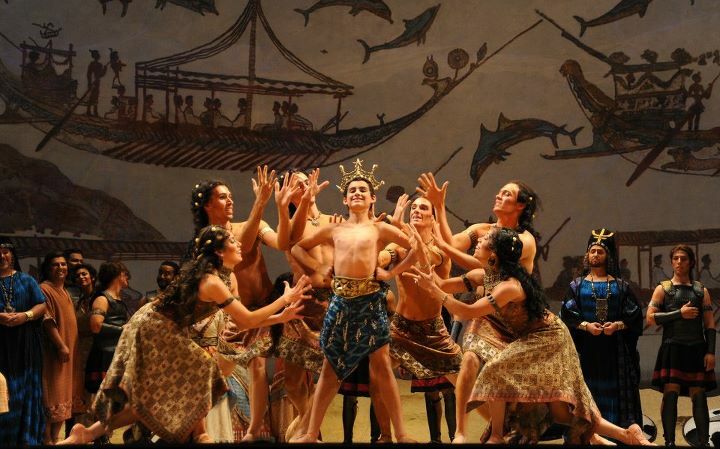 Cast 1: Alexander Boyer as the king of Crete in Opera San José’s production of Mozart’s Idomeneo. Photo by P. Kirk, courtesy of Opera San Jose. Cast 1: Alexander Boyer in the title role and the Opera San José chorus in Mozart’s Idomeneo. Photo by B. Shomler, courtesy of Opera San Jose. I’m so appreciative of Mr. Kirk an Mr. Shomler. This is the way we in the pit get to experience more of the opera. Fantastic photos! Have I Ever Metioned That I Think That The Oboe Is The Best, Most Needed, Beautifulest Sounding Instrument In The Entire Ensemble! 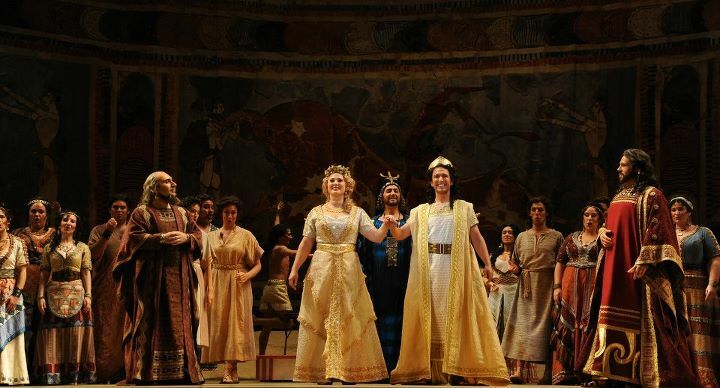 Storyline is secondary in opera, and Opera San Jose never disappoints in the music department. I thought the singing was absolutely beautiful. The music by Mozart was played to perfection again by the orchestra and led by the great Maestro George Cleve. It is a long opera (almost four hours) and the music is non-stop. I cannot imagine being a musician in this orchestra and playing for four hours straight every night! But these are many of the best musicians in the South Bay, so I happily and gratefully welcome the chance to listen to their work. The arias are all very emotional, as is the story, and the very talented singers made you feel the emotions behind their words. So, we’ve now had two performances of Idomeneo, which means we’ve also had a performance with each cast (which explains the photos I just posted that show two singers in one role in case you didn’t figure that out). It’s gone quite well. Both audiences seemed very enthusiastic. I just love this music! BUT (c’mon, you knew I had to have that, right?) I sure had a rough time today with one issue. There are days my eyes just won’t focus. I would hate to guess it might be due to my computer usage, but I do wonder. I’ve been doing so much work scanning and working on some photos that I suspect my eyes are angry at me. I kept hoping that over time things would improve, but they never did, and this opera is nearly 3 hours and 45 minutes! Good thing I know it well enough that blurry notes aren’t too much of an issue. Merely frustrating. Today I have only one student. One new student! I do look forward to these first lessons. Especially when the student is totally new to oboe. I just love introducing someone to the world of oboe. No opera until tomorrow night. Guess I have time today to clean the house. Nice! 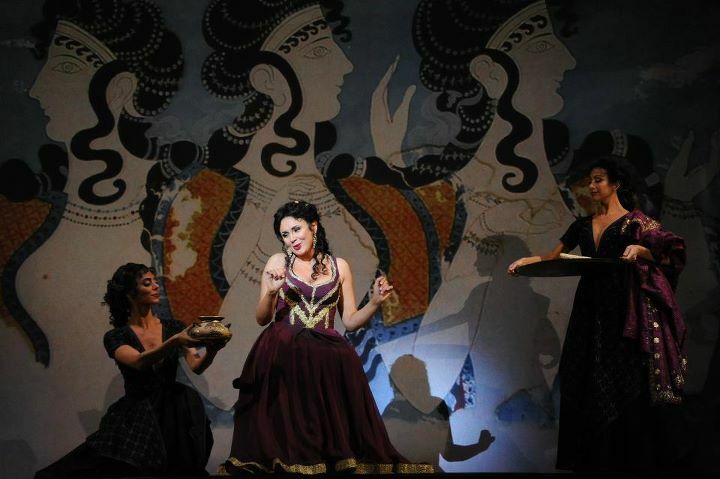 I have permission from Opera San José to post photos they have provided over on Facebook. All photos are, at this point, by Pat Kirk. There are also some by Bob Shomler, but for some reason I can’t get them in full size via their press page, so just go here to see them! As you will see, this production looks fantastic! Idamante (Aaron Blake) declares his love to Ilia (Rebecca Davis). Image by Pat Kirk Photography, courtesy of Opera San José. 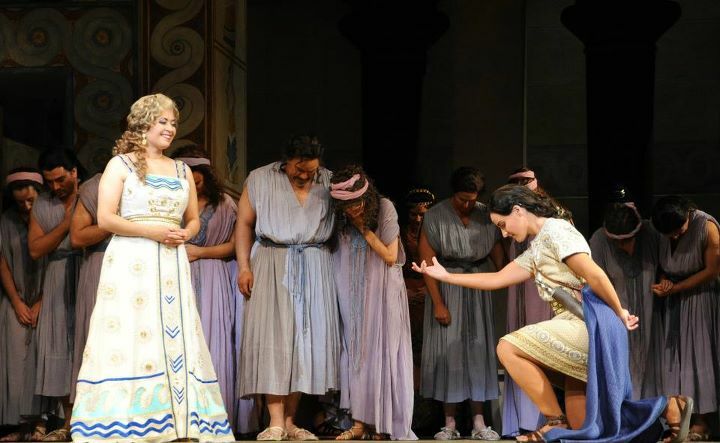 Idamante (Betany Coffland) frees the Trojan captives to please Ilia (Sandra Bengochea). Image by Pat Kirk Photography, courtesy of Opera San José. The king’s (Christopher Bengochea) ship is wrecked. 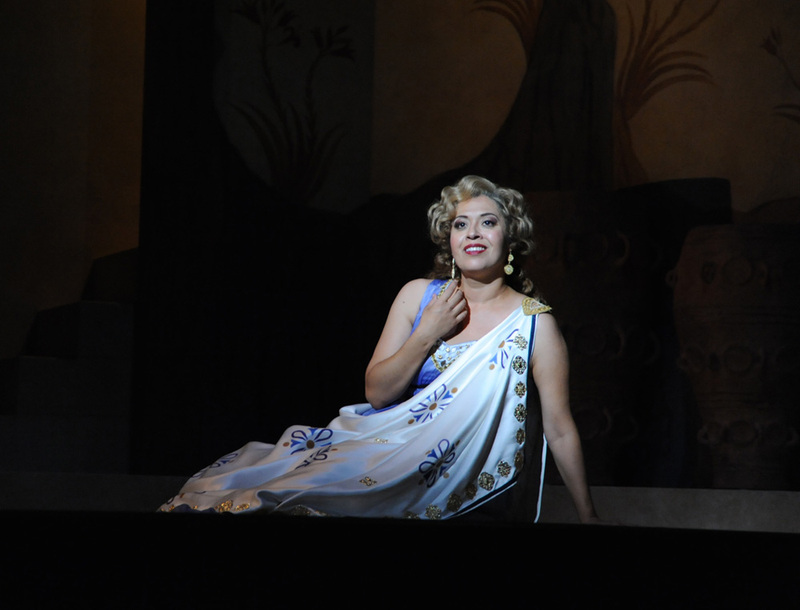 Image by Pat Kirk Photography, courtesy of Opera San José. 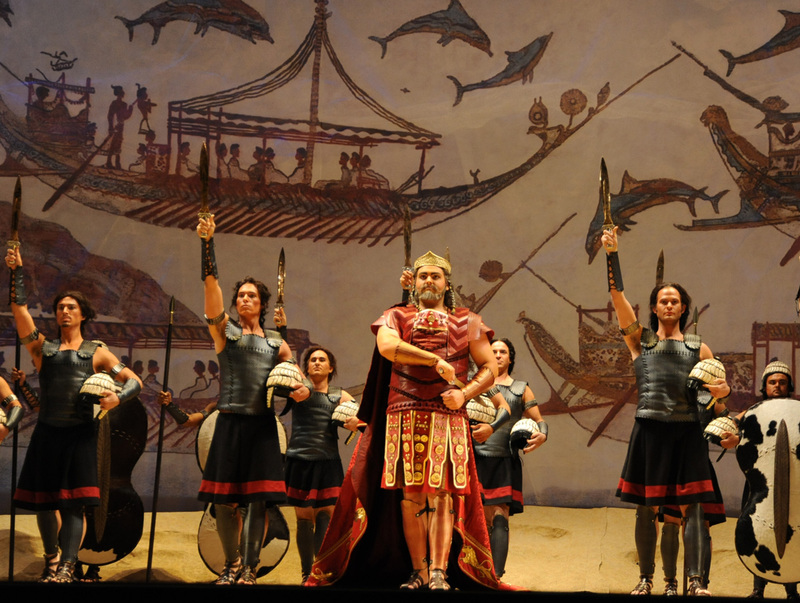 Idomeneo (Christopher Bengochea) leads his soldiers home from the Trojan war. 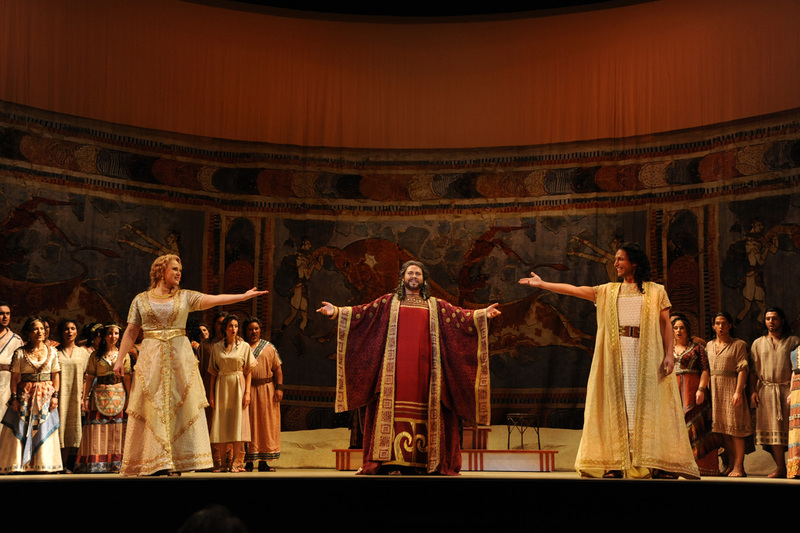 Image by Pat Kirk Photography, courtesy of Opera San José. The Cretans sing their praises to Neptune. Image by Pat Kirk Photography, courtesy of Opera San José. Elettra (Jasmina Halimic) prepares for her voyage home. Image by Pat Kirk Photography, courtesy of Opera San José. 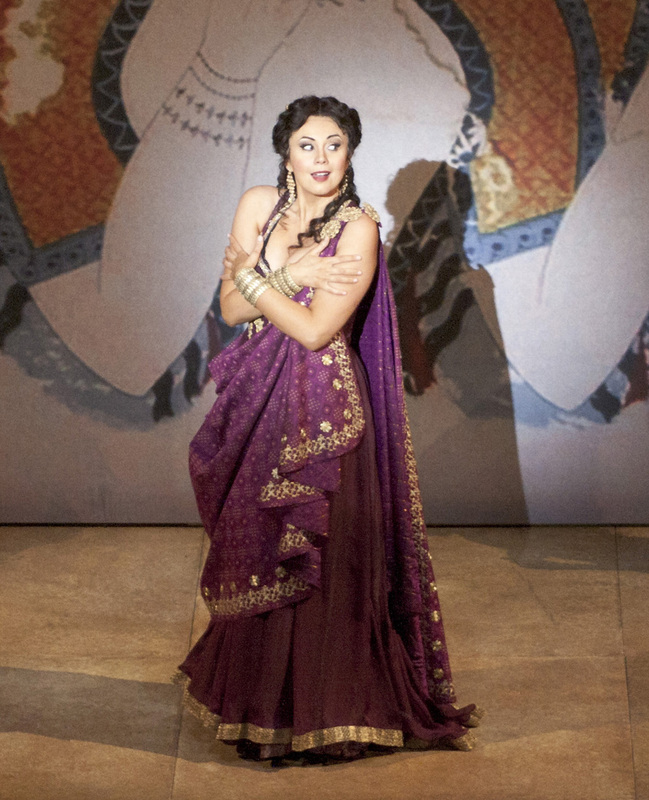 lettra (Christina Major) sees the advantages to a voyage alone with Idamante. Image by Pat Kirk Photography, courtesy of Opera San José. 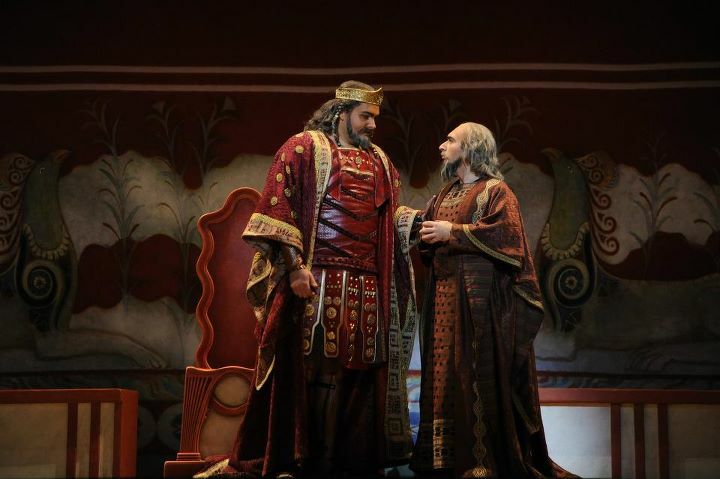 King Idomeneo (Alexander Boyer) consults with his advisor, Arbace (Nova Safo). Image by Pat Kirk Photography, courtesy of Opera San José. The captive Trojan princess, Ilia (Rebecca Davis), seeks a kind word from her rival, Elettra (Christina Major). Image by Pat Kirk Photography, courtesy of Opera San José. 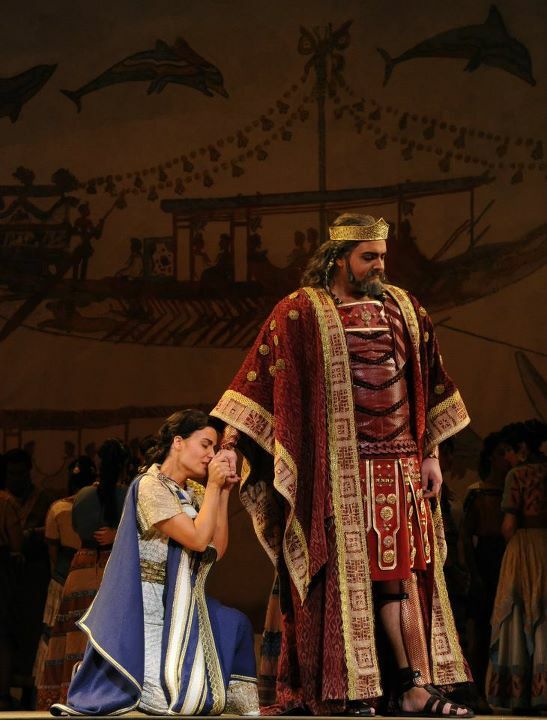 King Idomeneo (Alexander Boyer) sends his son Idamante (Betany Coffland) into exile. Image by Pat Kirk Photography, courtesy of Opera San José. Cretans prepare for the sacrifice. Image by Pat Kirk Photography, courtesy of Opera San José. 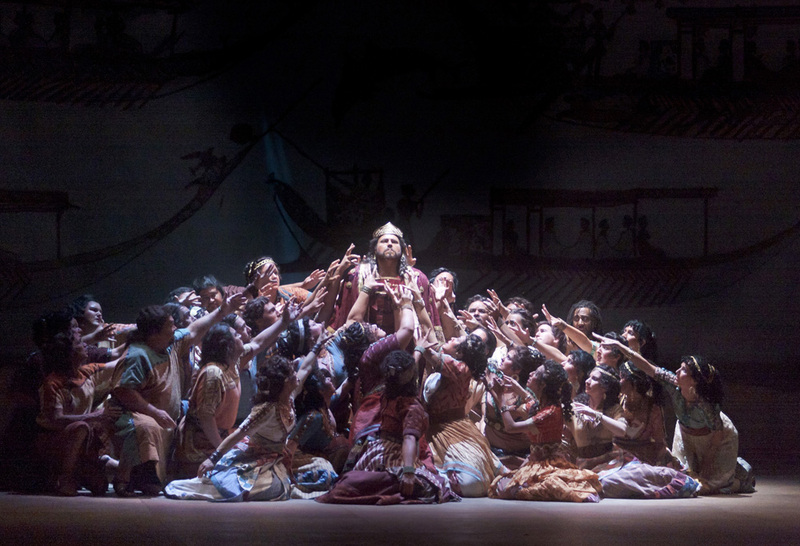 King Idomeneo (Christopher Bengochea). Image by Pat Kirk Photography, courtesy of Opera San José. The Cretans rejoice at the heavenly proclamation. Image by Pat Kirk Photography, courtesy of Opera San José. A happy ending for the people of Crete, as Idomeneo cedes the throne to his son, Idamante (Aaron Blake) and Princess Ilia (Rebecca Davis). Image by Pat Kirk Photography.